Baláš, J., Nováková, L. (2012). Outdoor Activities in Educational and Recreational Programmes. 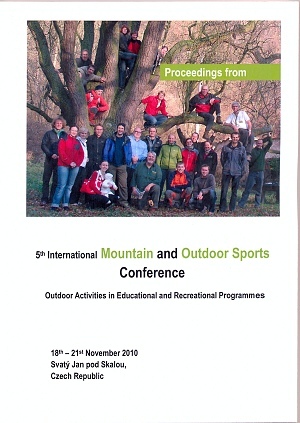 Proceedings from the 5th International Mountain and Outdoor Sports Conference , 18th-21st November 2011, Svatý Jan pod Skalou, Czech Republic. Praha: Falešník Ondřej Ing. - FALON. ISBN 978-80-87432-02-0.